From sports injury to old age, tooth loss can happen for a variety of reasons. But no matter how you've lost teeth, it can be detrimental to your general health and can severely effect your self-esteem. Our staff can help solve the problem and rebuild your smile with custom fitted dentures. 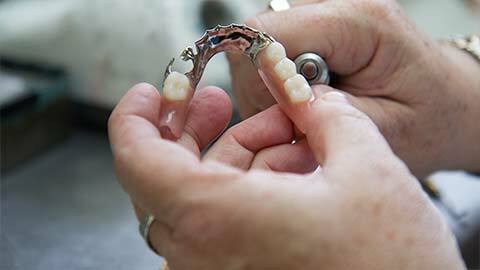 Our dentures are made to fit into the gum-line and archways of your own mouth. 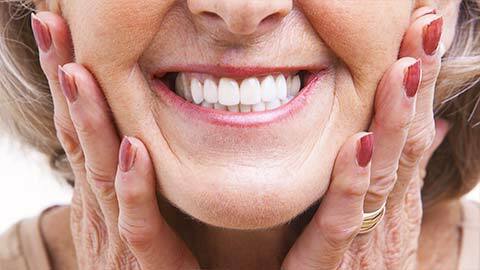 Depending on the amount of tooth loss you may require either partial or full dentures. Partial dentures are typically removable and attach to wires that are on your natural teeth. Full dentures are usually inserted after any remaining teeth have been removed and the tissues have healed. We recommend having your dentures secured using mini-implants, which allow your false teeth to fit snugly, eliminating the shifting and displacement that can lead to bone loss. There have been many great technological advances in building dentures and we work hard to provide each patient with the most realistic looking and feeling set of dentures available. If you need more information about Dentures in Toronto, contact us today.